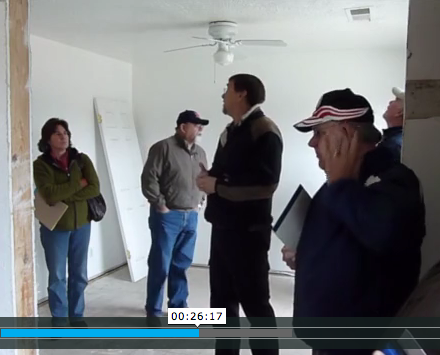 Join Dave Robinson and several energy wise house flipper enthusiasts on a Fresno Field Trip that includes 503 Scott Ave Clovis CA in the early stages of remodel. 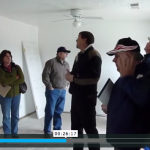 Bryan Martin, one half of GEE’s favorite real estate agent team, shows the group a new property were Dave discusses the do’s and don’t of making an offer for a potential house flip. This entry was posted on Tuesday, November 22nd, 2011 at 6:14 pm and is filed under Energy Package, EnergyWise House Flipping, EnergyWise Renovation, Green Renovation, Home Performance, Investors, Investors Videos, RENOVATORS, Renovators Videos. You can follow any responses to this entry through the RSS 2.0 feed. Both comments and pings are currently closed.